Sometimes it's fun to step outside of our comfort zone just a tad and photograph a subject we aren't as used to capturing! I know part of the photographer process is to keep snapping, keep learning, keep growing and the only way to do that is to practice! I try to challenge myself to pull that camera out and stay creative, even if it's not for my normal paid people portrait style shoot. What are your favorite subjects to photograph? Buildings, people, cars, animals, insects, nature, landscapes, street life, products? I actually love to photograph all of these things. 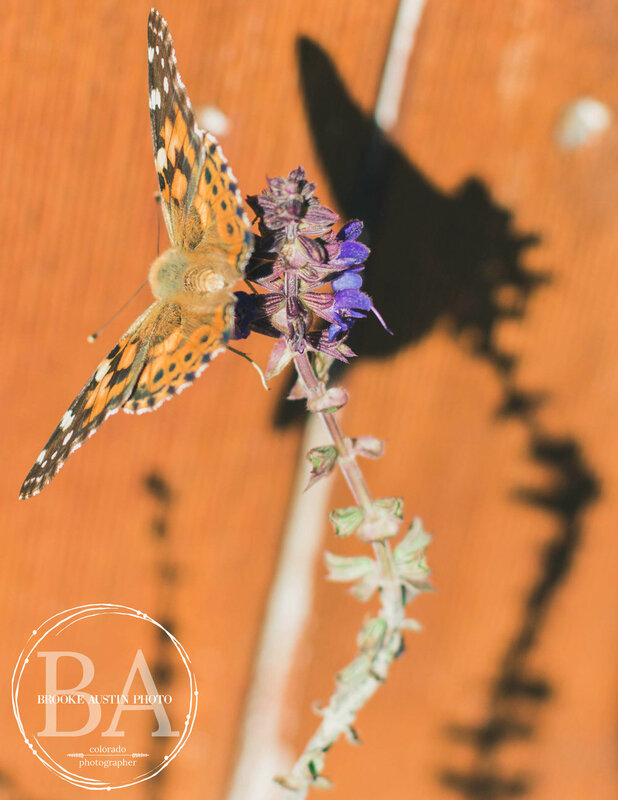 The Painted Lady butterflies have been migrating across Colorado the past couple weeks and have been swarming the area, fluttering everywhere you look. I've been wanting to try to snap some photos of them and I finally got the opportunity to photograph them this morning right in our front yard. 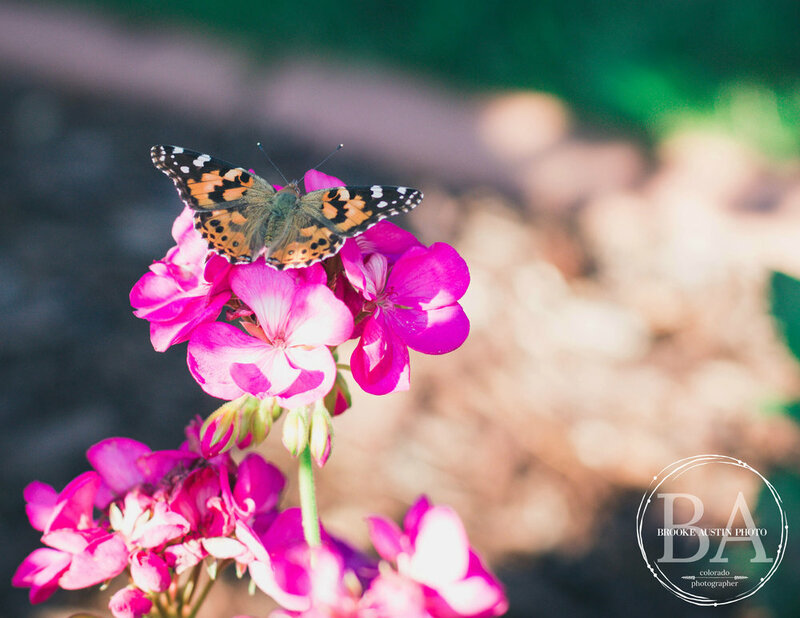 Have you seen the butterflies fly across in front of your car or in your yard this Fall? Local news station Channel 9 News had a story about the butterflies. Here are some of my favorite images from today!